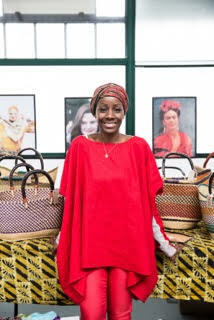 A huge thanks to The Lagom Concept for giving me the space to talk about THE TRIBE Empowerment Journal on Thursday. 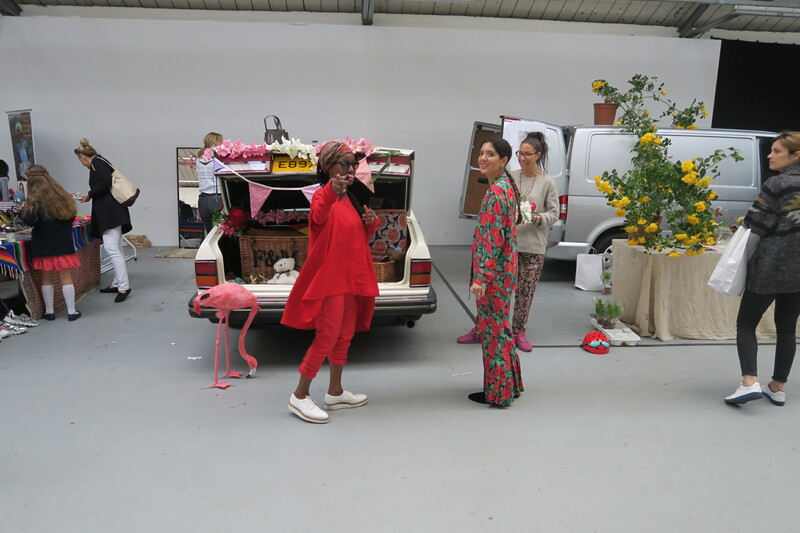 It was absolutely lovely to see what Madeleine and Alessandra are trying to build. 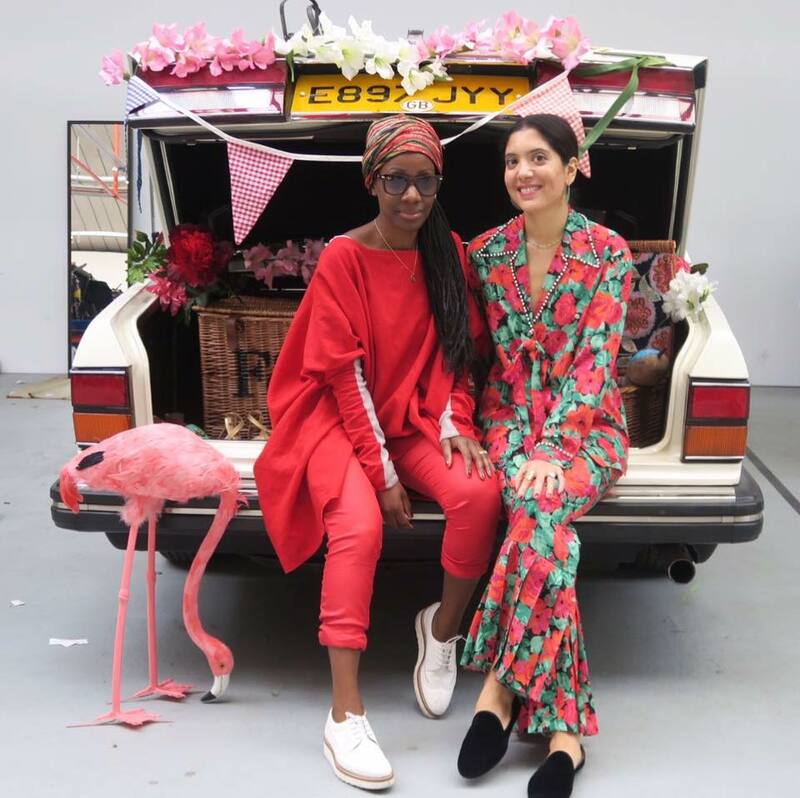 One of the elements of sustainable fashion that most appeals to me is the independent fashion brands – small, emerging brands creating wearable fashion, brands you need to seek out off-the-beaten path. 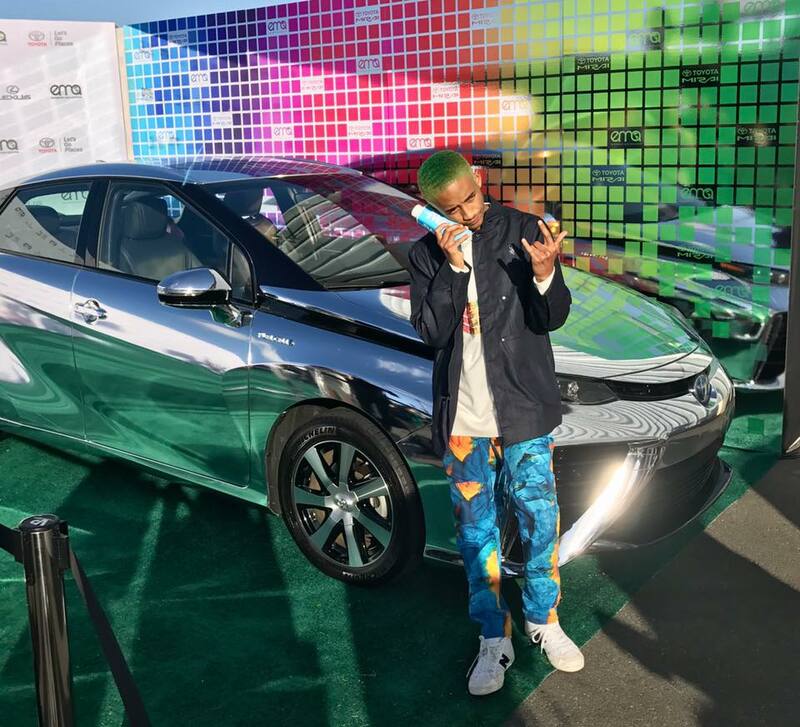 The pro? 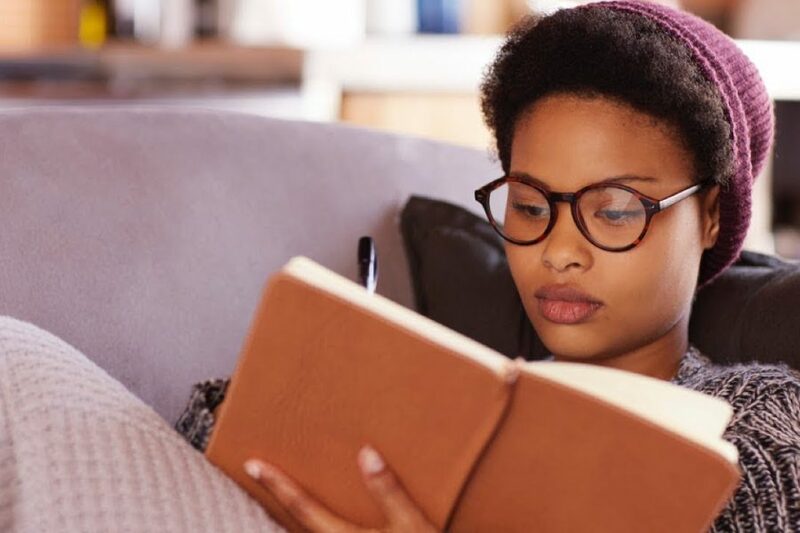 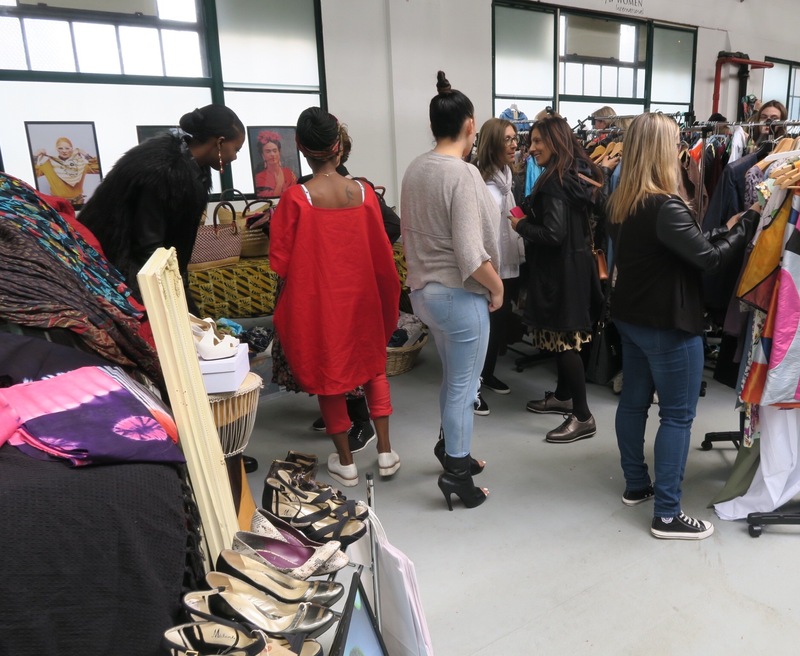 You know that the fashion you buy has a story you can discover much more easily, and you get to know more about the people behind the brand…they are just so more accessible. 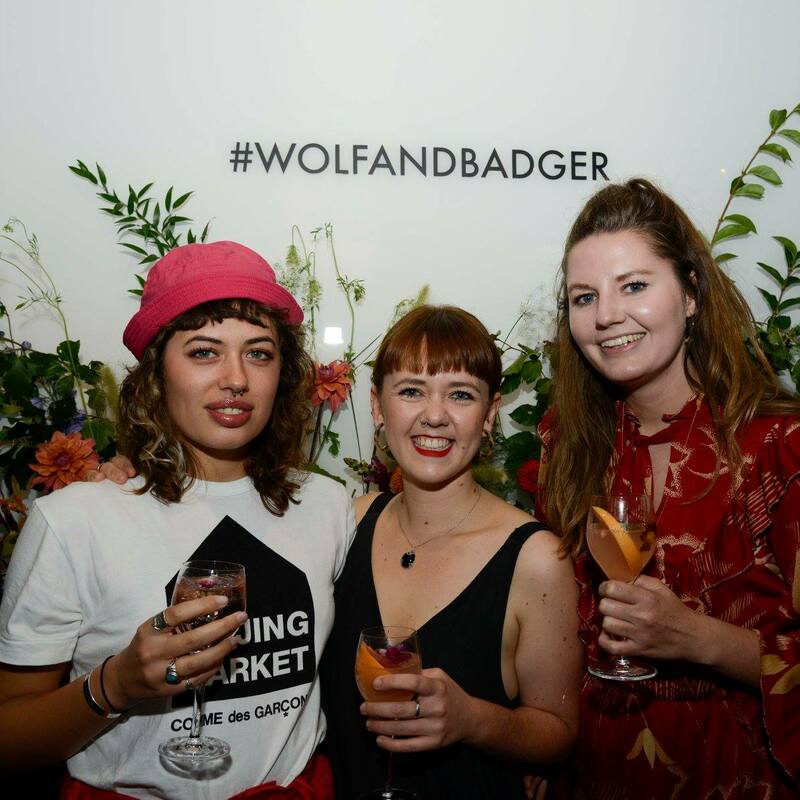 The pop-up store will last for a few more days before Christmas so people can discover ethical brands like, YGN – a collective whose beautiful ethically handmade good are created by women supported by social enterprise in Myanmar, across to high-end JPL, an ‘Eco-Luxe for the Modern Woman’. 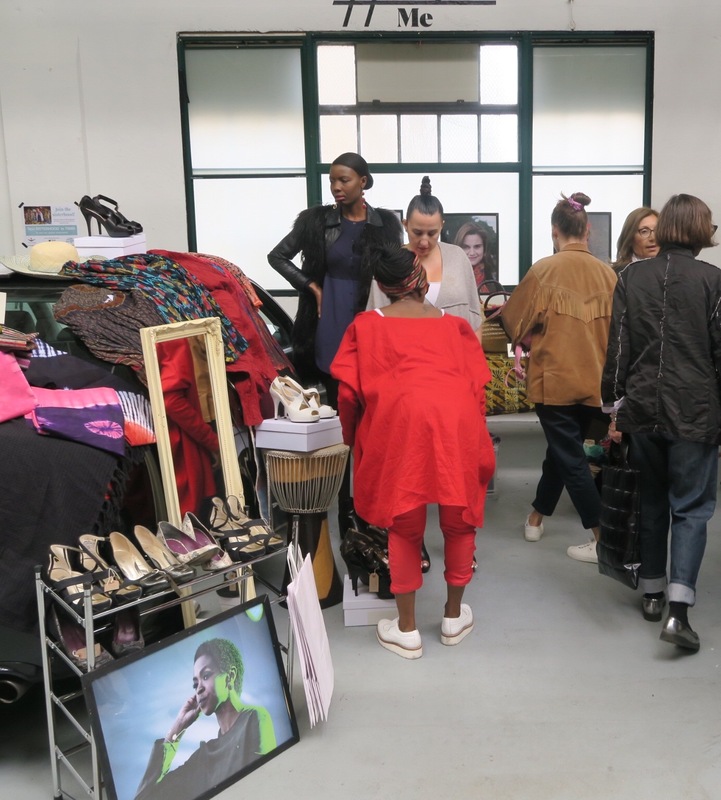 I am a fan of pop-ups for many reasons…it gives brands the change to tell their story using innovative methods, and transforms an average shopping trip to much more of an event where you can interact with brands and ask questions…like Who Made My Clothes? 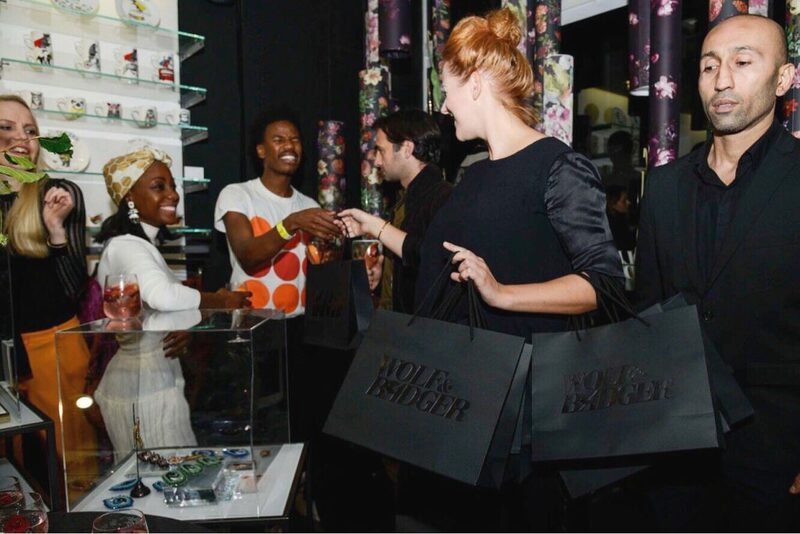 Prepare for more than just a pop-up store… The evening will be an experience of influencers and panelists who will discuss how the fashion industry is changing. 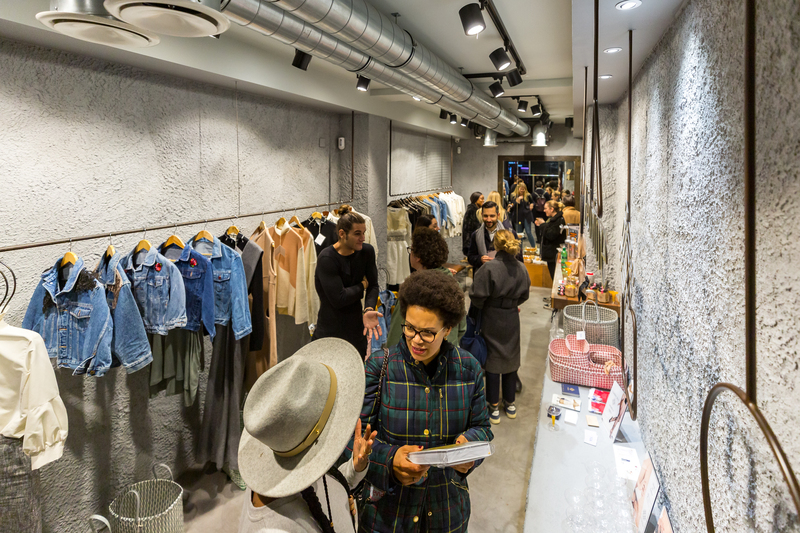 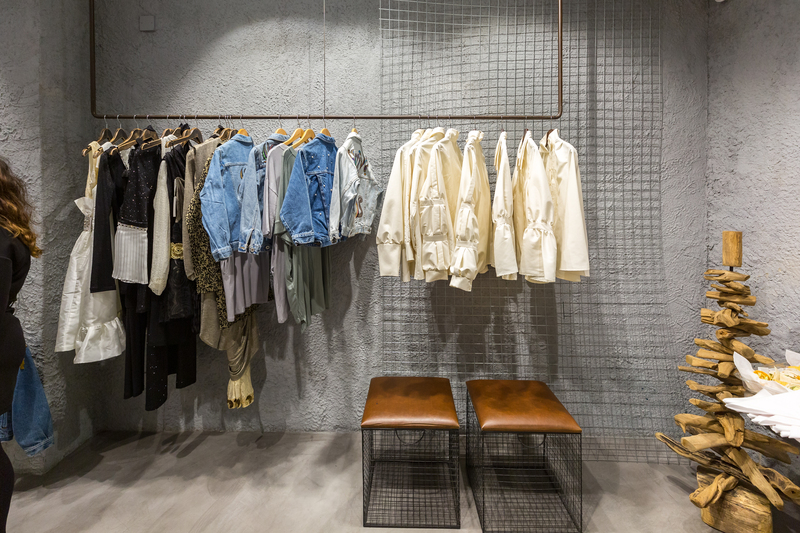 Combining emerging and exclusive brands to shop, the Lagom Concept will host interesting discussions about the latest trends in the fashion industry including sustainability, digital influence, and women empowerment. 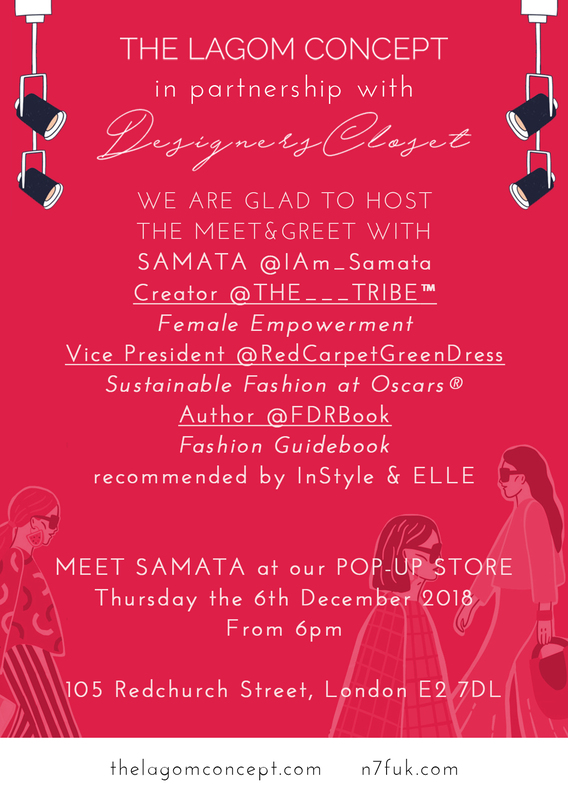 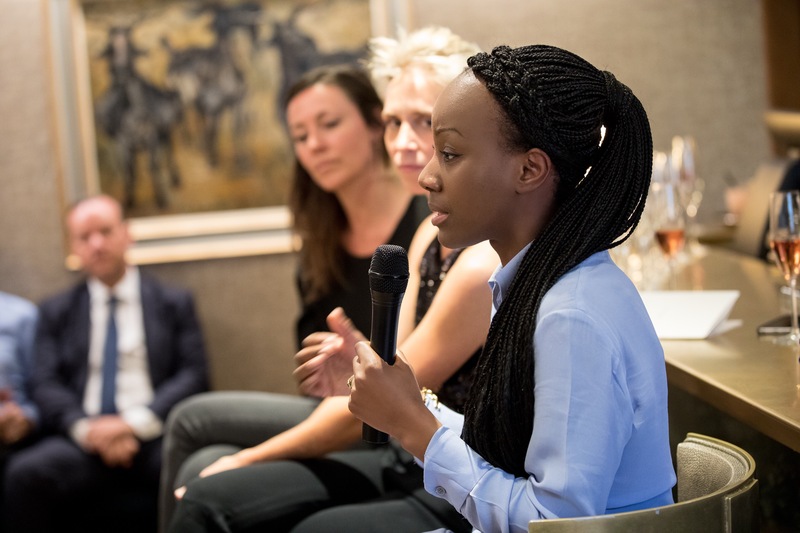 Samata will speak on Thursday 6th December, find out more here and reserve your space. 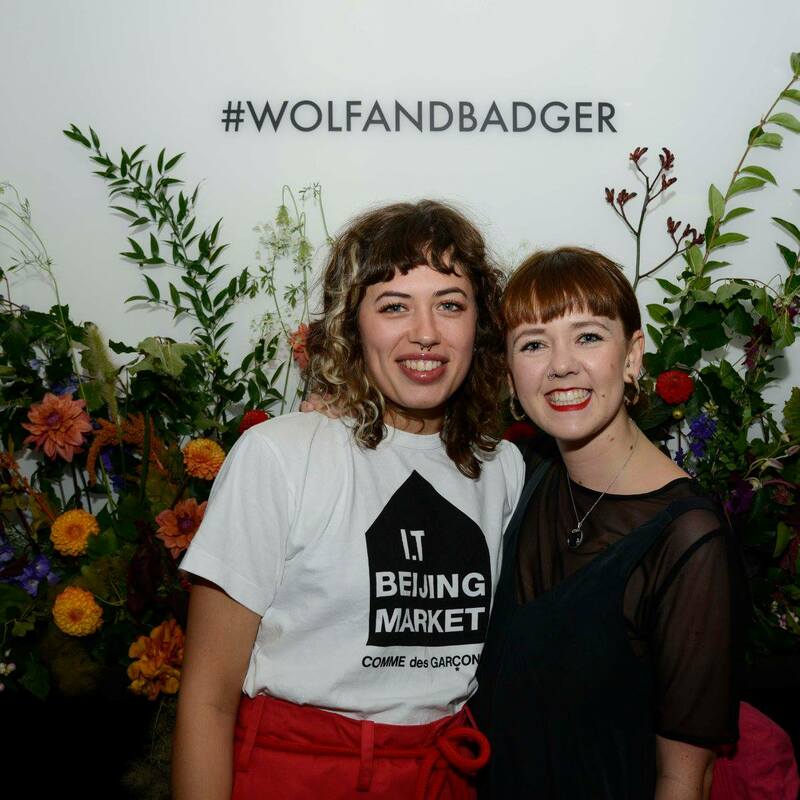 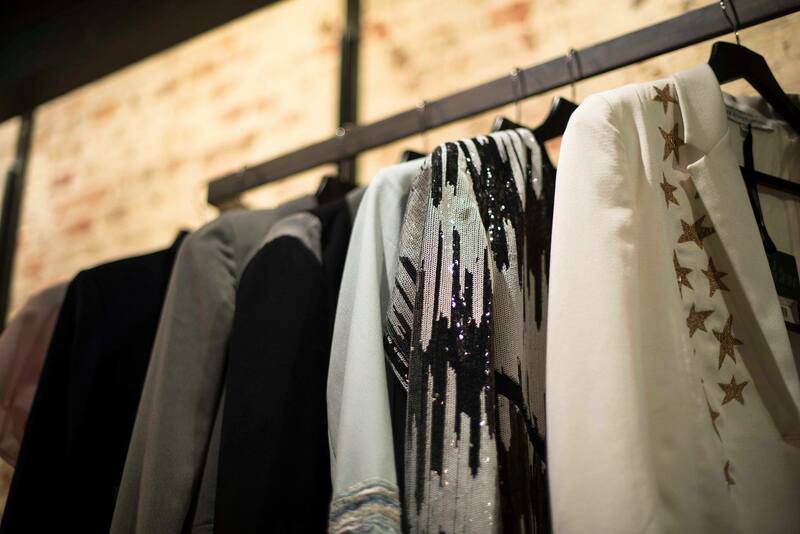 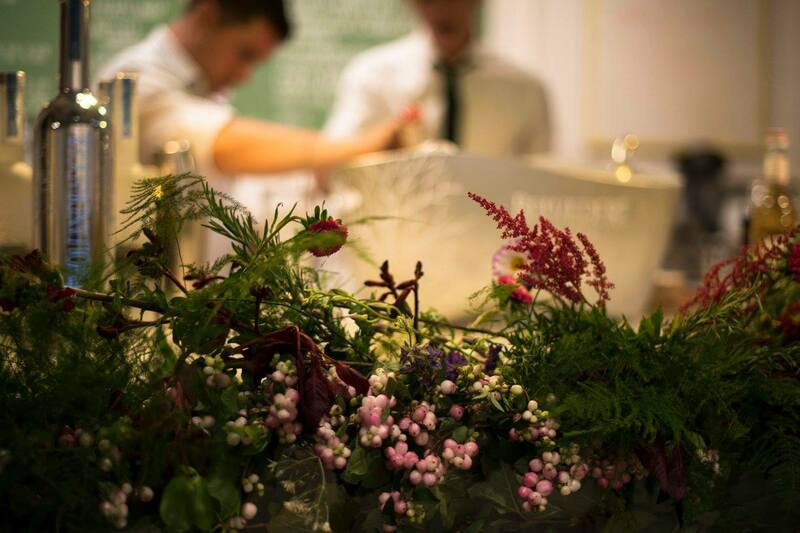 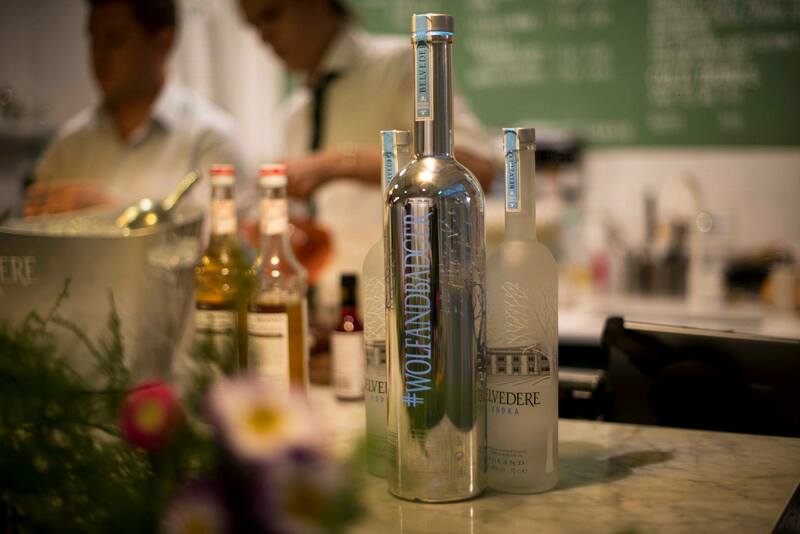 Wolf & Badger celebrated Independent talent in association with London Fashion Week, with a little help from Belvedere Vodka. 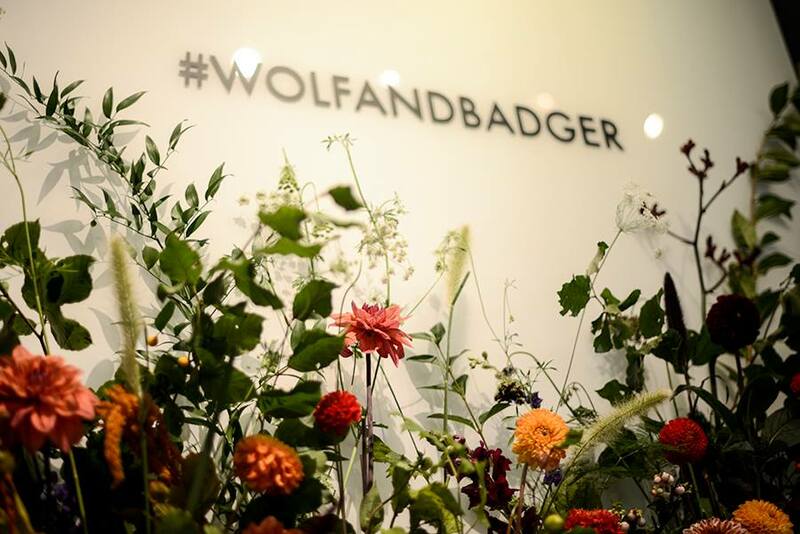 Guests sipped bespoke cocktails, Fashion Week Spritz and Dover Street Old Fashioned amongst a Winter Floral decor to coincide with Wolf & Badger’s Autumn Winter season theme. 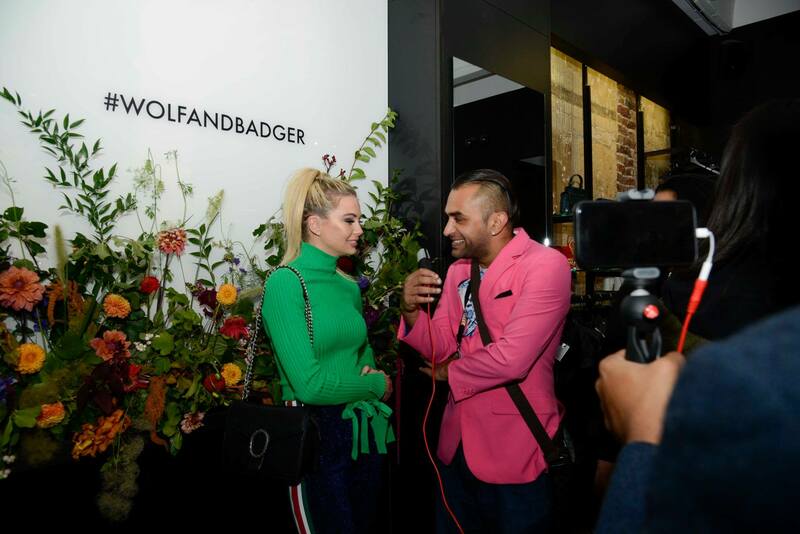 With Katie Eary spinning the tunes at Wolf & Badger’s Dover Street Mayfair store, special guests Lottie Moss, Emily Blackwell, Georgia Toffollo and Oliva & Alice were guaranteed to have the best kick off to LFW! 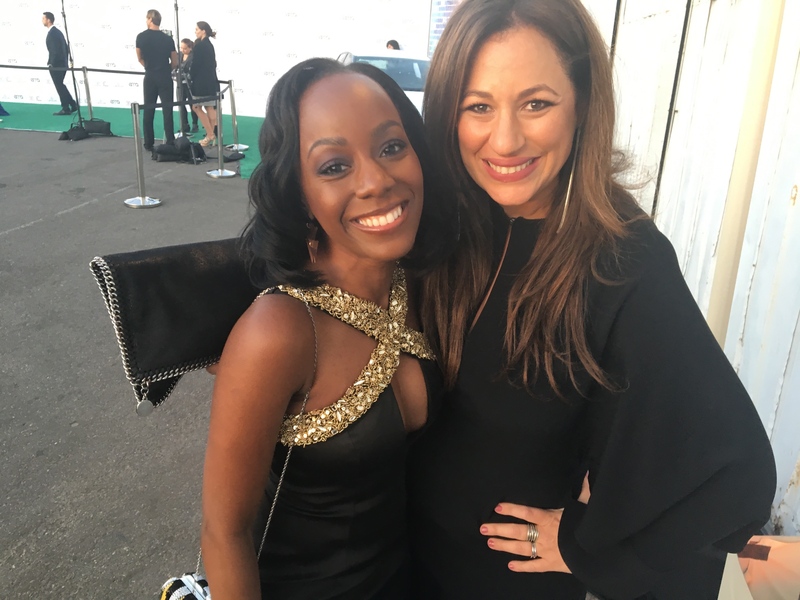 Stars, filmmakers, and philanthropists strolled down an appropriately green carpet and gathered in a vast hangar at Santa Monica airport for this year’s Environmental Media Association awards on Saturday night. 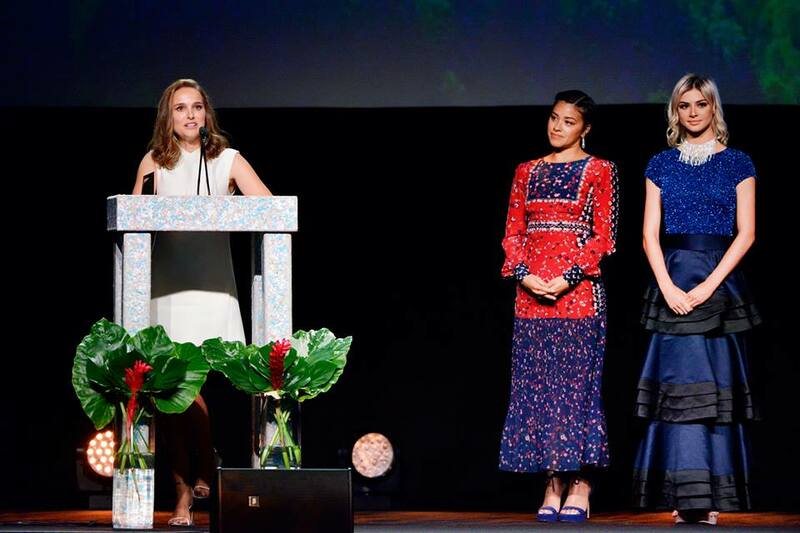 Among the honorees at the ceremony, which recognizes both individuals and corporations who have demonstrated a commitment to protect the environment through their work, were Natalie Portman, Russell Simmons, John Paul DeJoria and former New York mayor Michael Bloomberg. 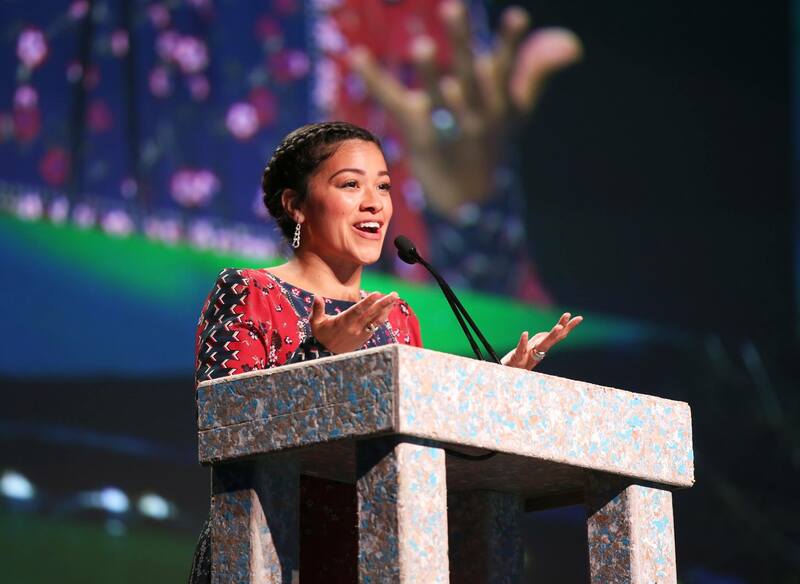 The Environmental Media Awards have been awarded by the Environmental Media Association since 1991 to the best television episode or film with an environmental message. 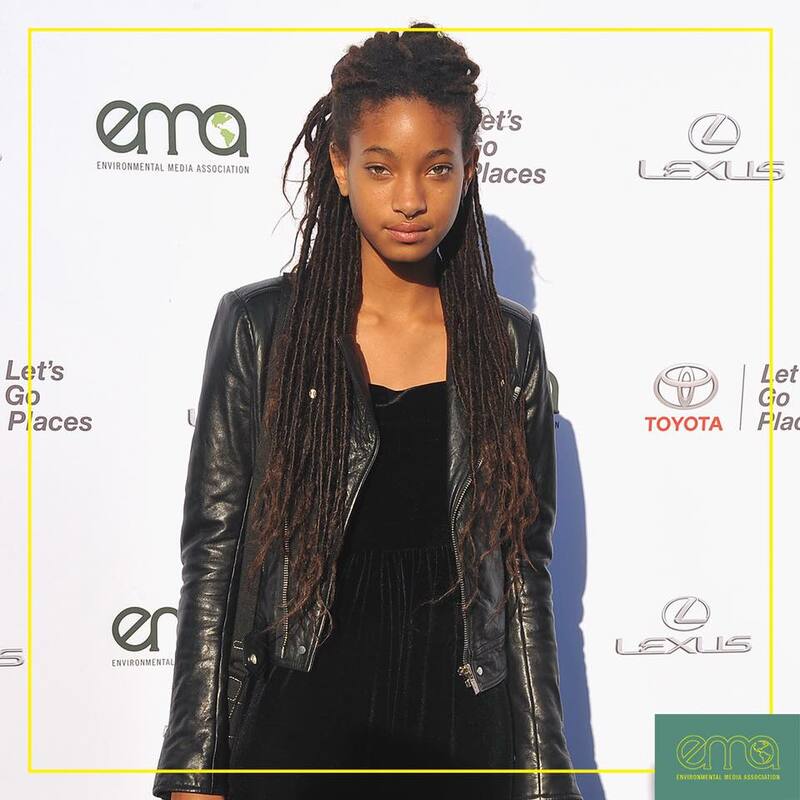 The Environmental Media Association (EMA) is a non-profit organization created in 1989 with the belief that through television, film and music, the entertainment community has the power to influence the environmental awareness of millions of people. 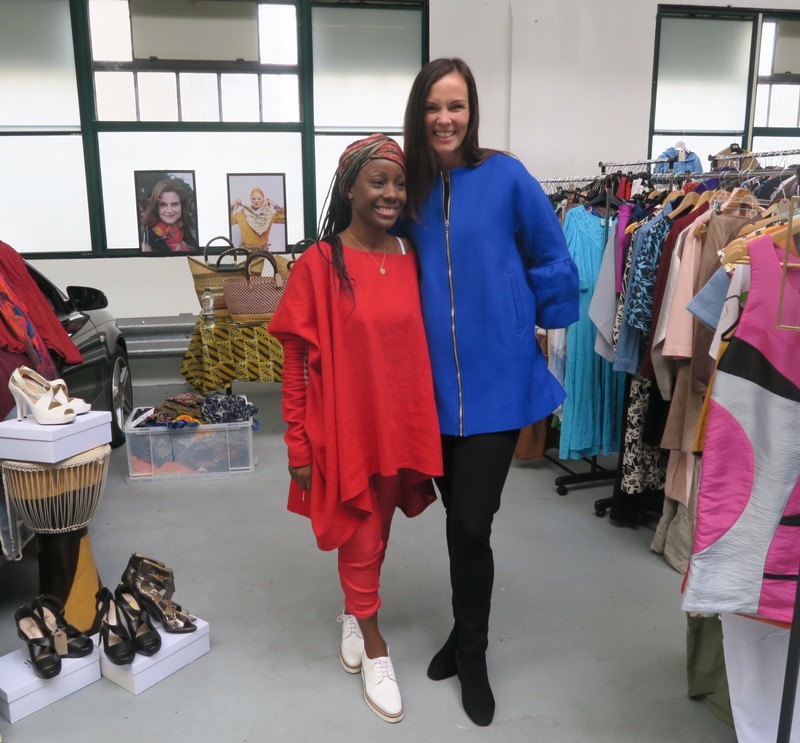 See behind the scenes, and find out about Samata’s ethical look for the carpet here. 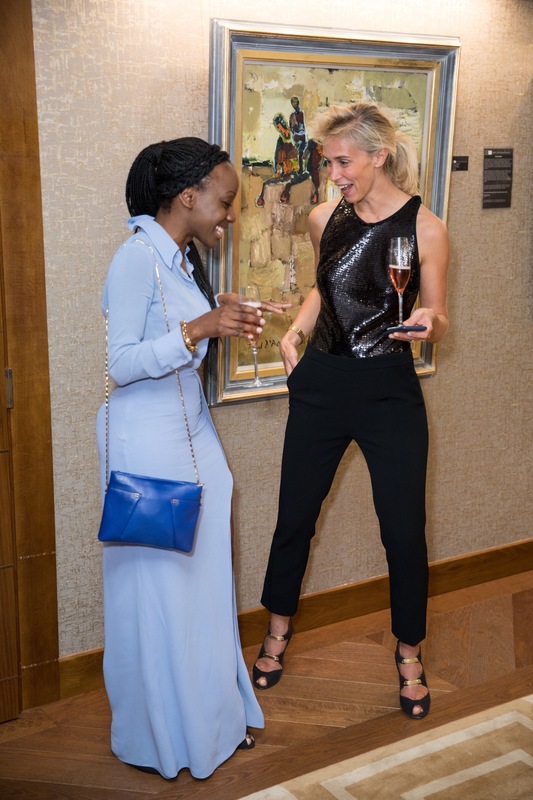 I recently attended the Environmental Media Awards, and loved wearing British brand accessories by Toolally alongside my special find from Sue Ryder. 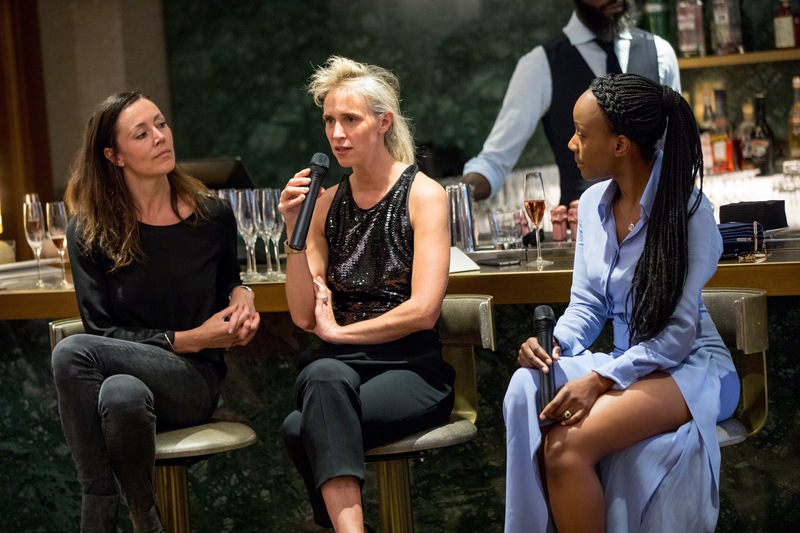 Aluminium heels are at the heart of the architectural design of Bettina Vermillion shoes who hosted a cocktail and Q&A with the label’s founder Lorraine Archambeaud. 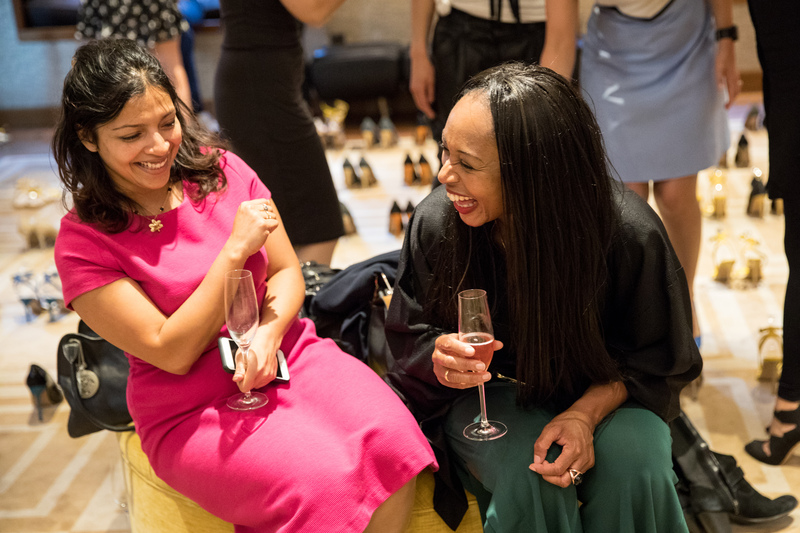 Developed over a period of four years by the brand’s founder, Lorraine Archhambeaud, together with a team of specialist engineers, the Bettina Vermillon heel is instantly recognisable, a unique signature that is as innovative as it is elegant. 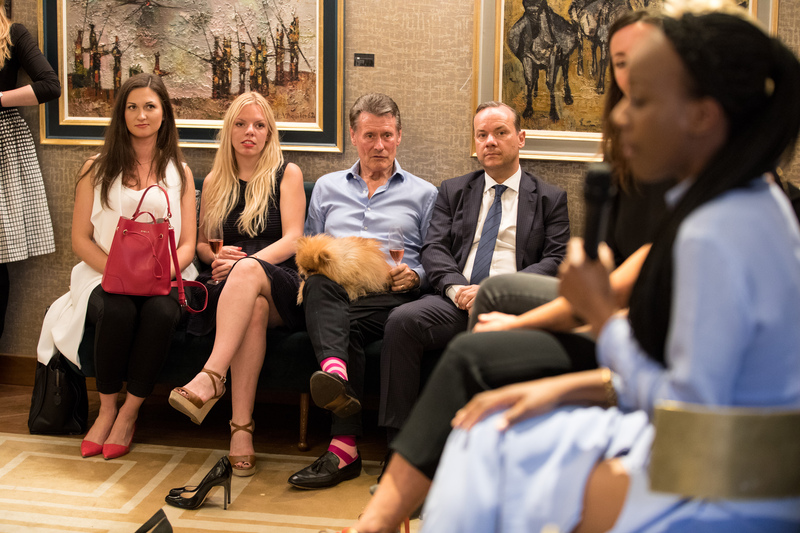 The Devonshire Club welcomed Lorraine Archambeaud, founder of Parisian shoe brand Bettina Vermillon. 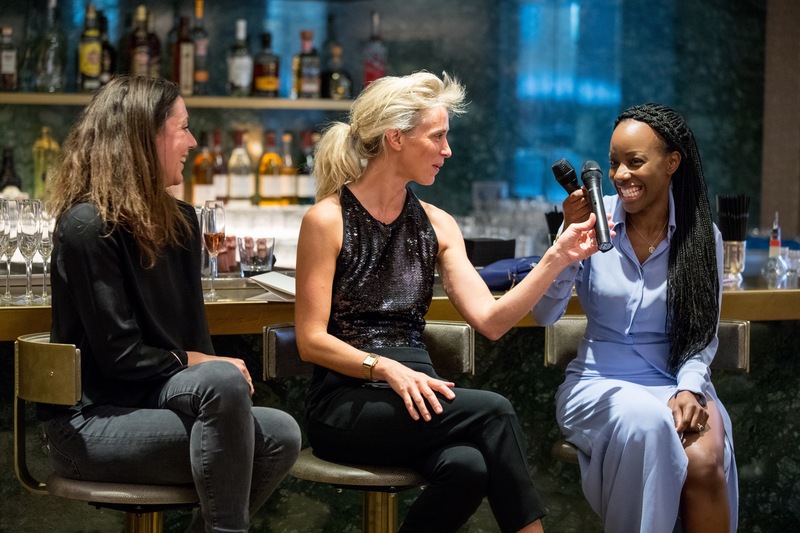 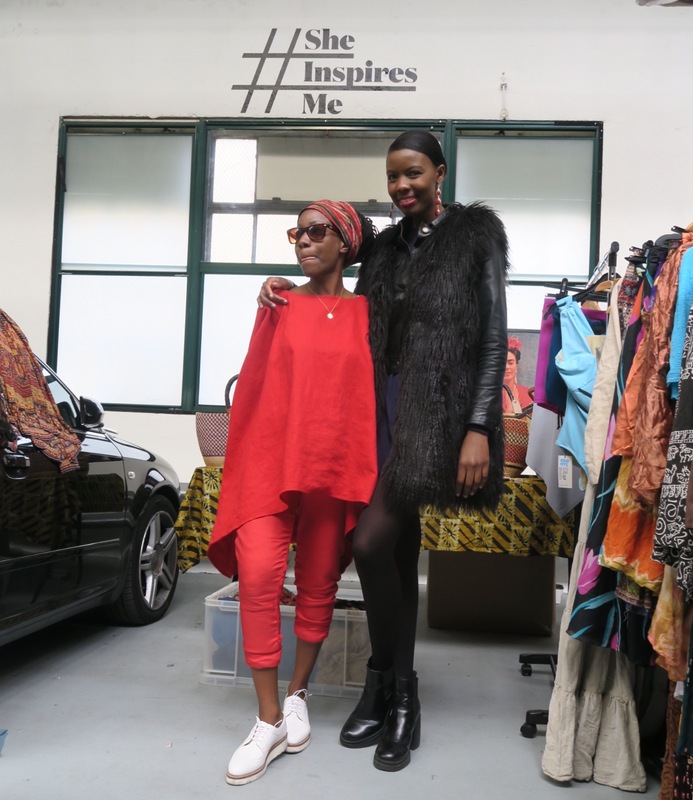 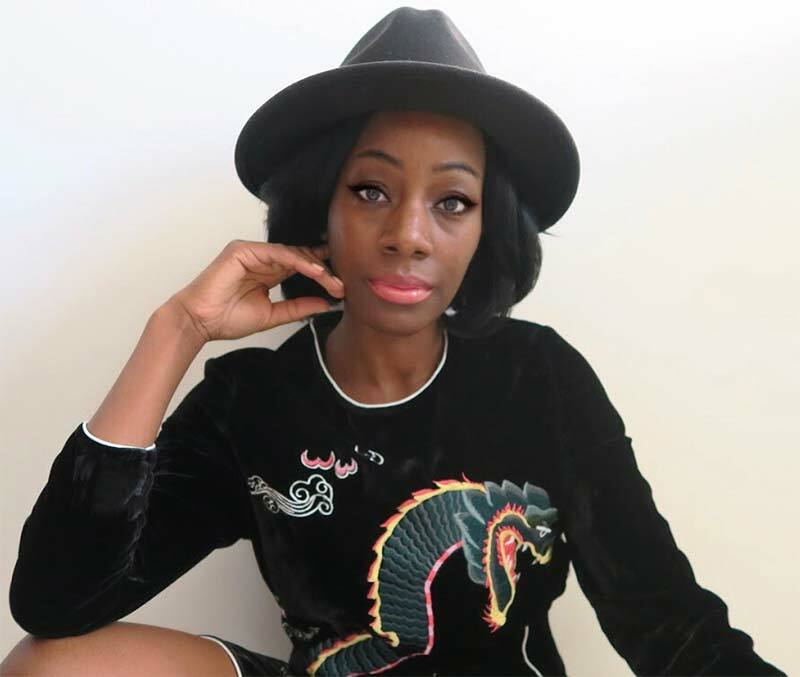 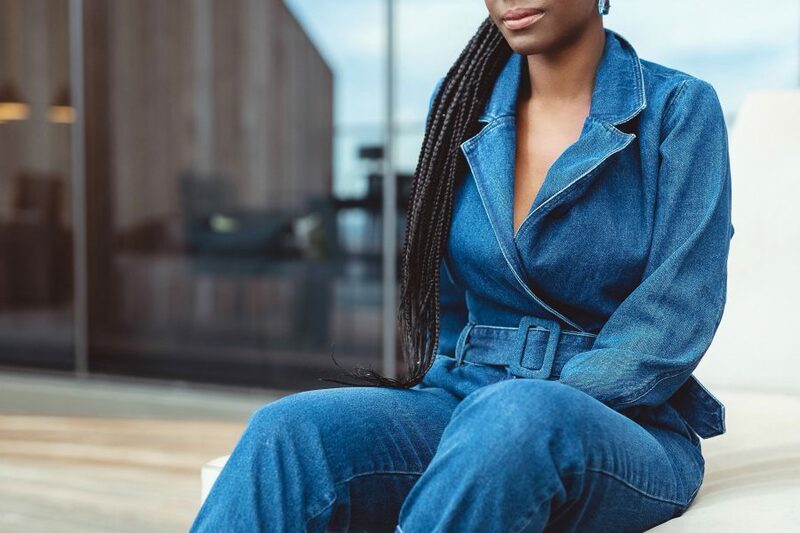 The business of fashion, setting up a luxury label and designing an iconic and innovative 6-inch heel were some of the topics that were discussed in conversation between Lorraine and Samata, the British born Ghanian fashion entrepreneur, producer and presenter. 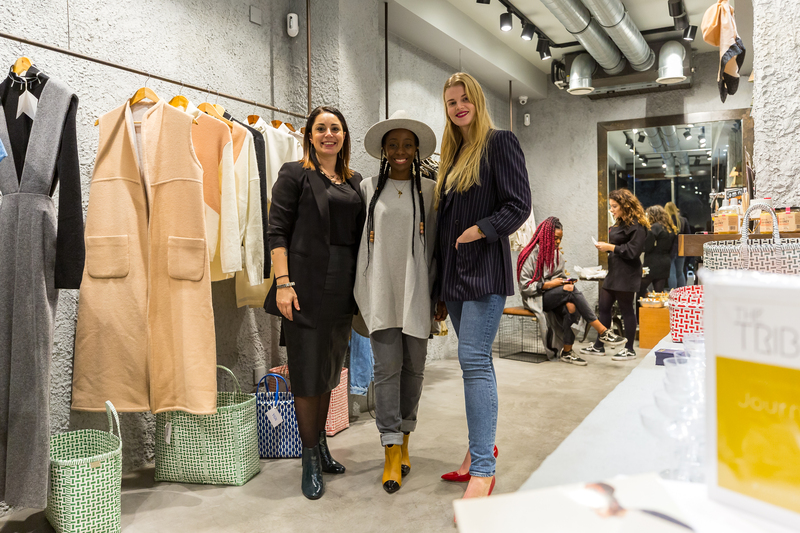 The discussion was followed by a Champagne Reception and Trunk Show to present the Bettina Vermillon Summer 2017 collection. 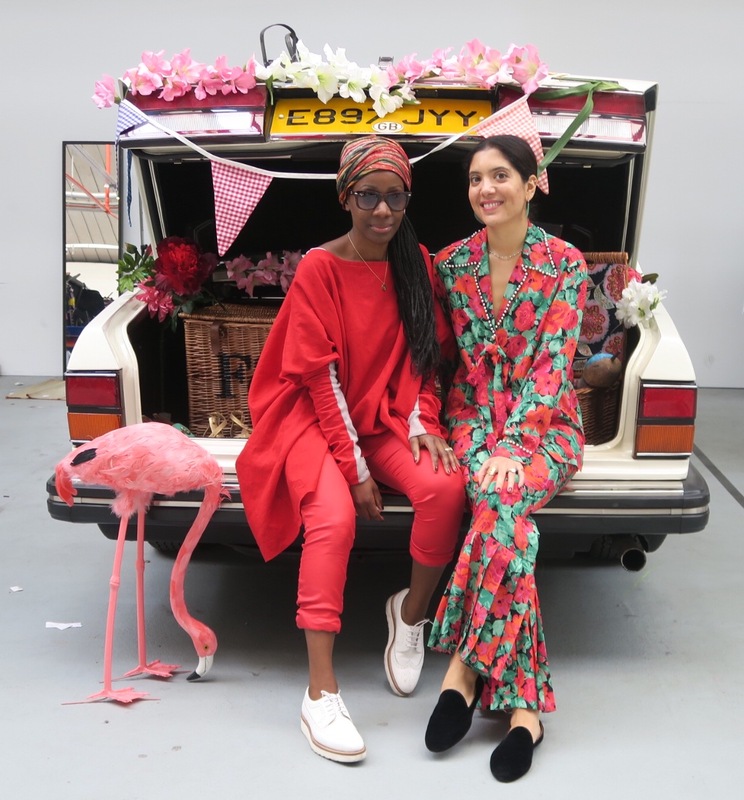 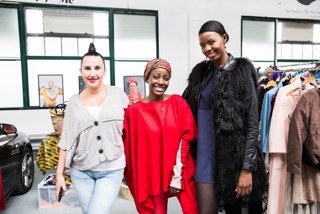 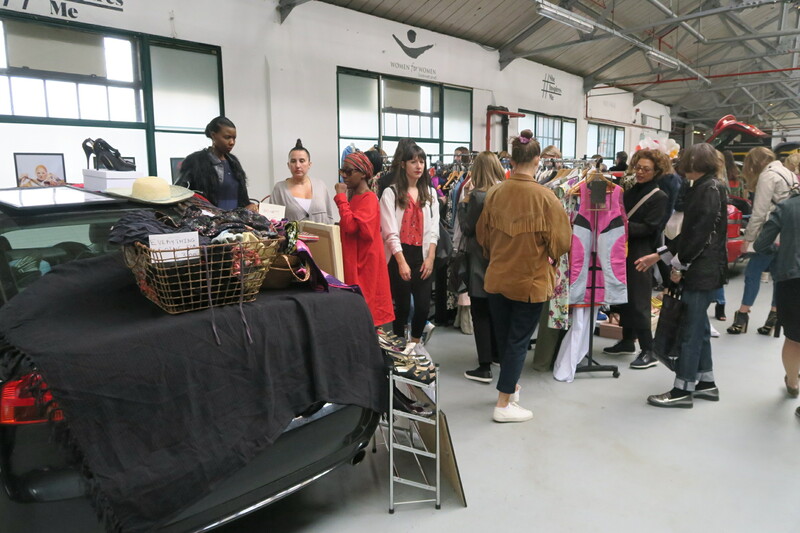 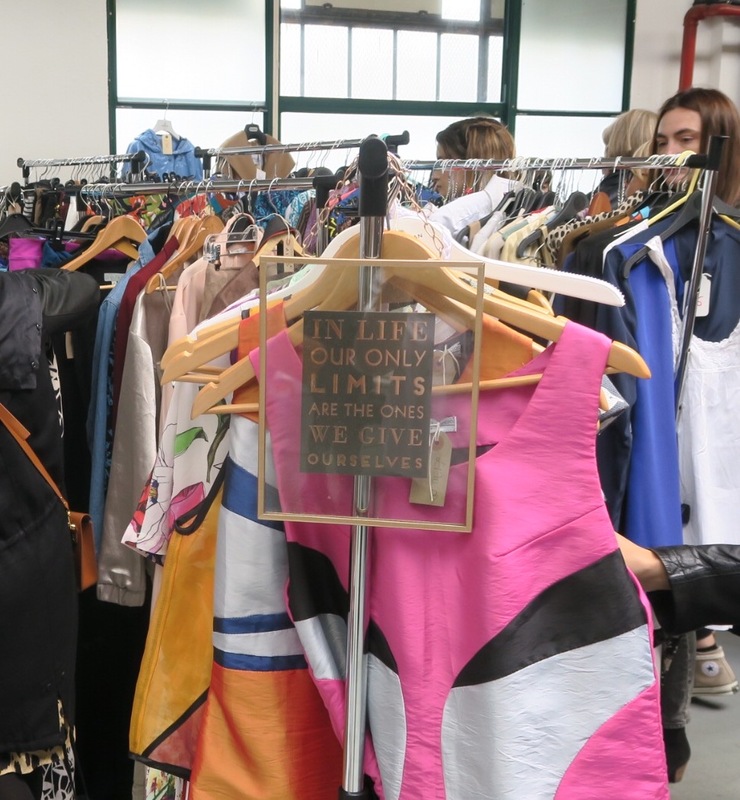 As part of @WomenforWomenUK International’s #SheInspiresMe Campaign, The Store and The Vinyl Factory’s Brewer Street Car Park hosted the second #SheInspiresMe Car Boot Sale! 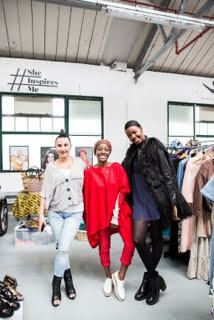 Proceeds raised go to the organisation which helps women survivors of war. 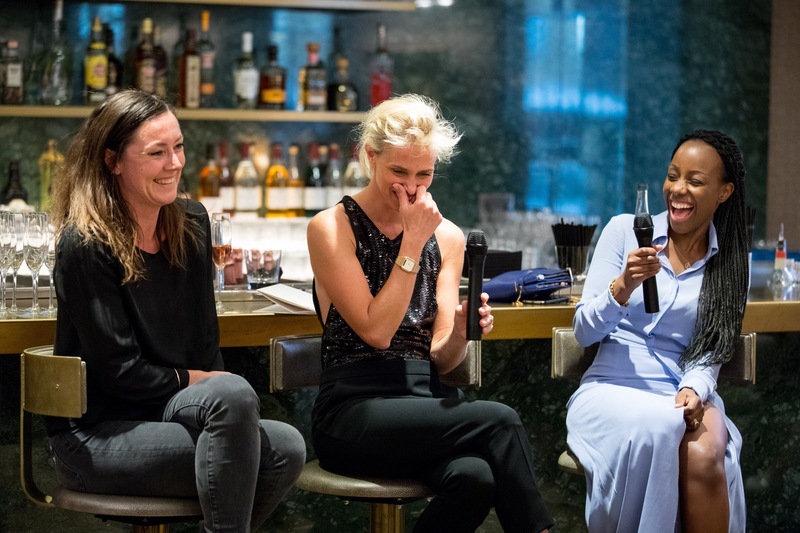 I’m so honoured to have shared the day with some incredibly powerful women – thank you so much @BritaFS for leading such a fearless team and including us in it. 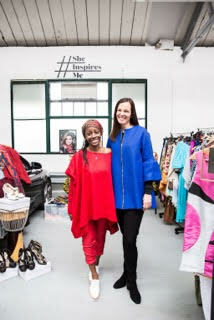 So proud to be part of this organisation. 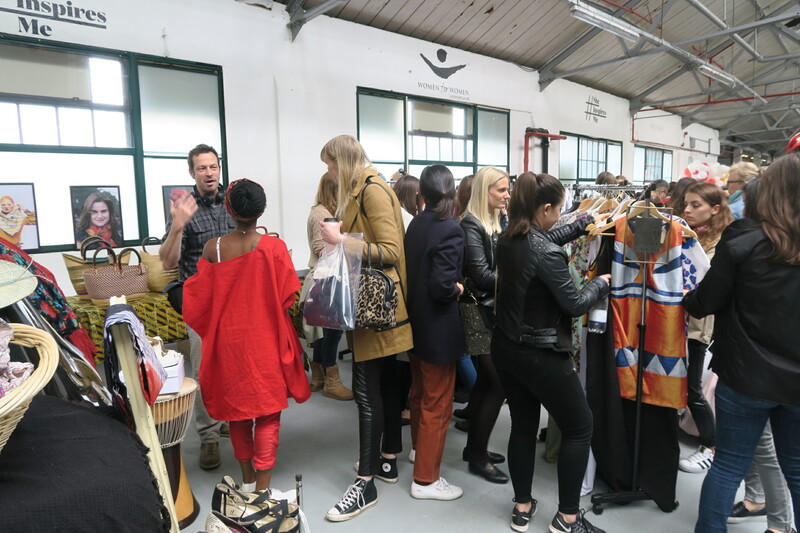 Today in Brewer Street my car boot sold a range of one-off samples, sustainable, organic, vintage, second-hand, Made in Africa and Made in Britain! 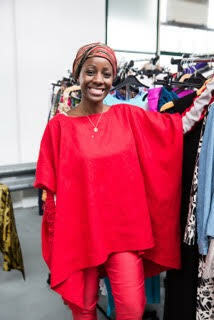 Ethical fashion, all in line with my role as Campaign Director of @RedCarpetGreenDress. 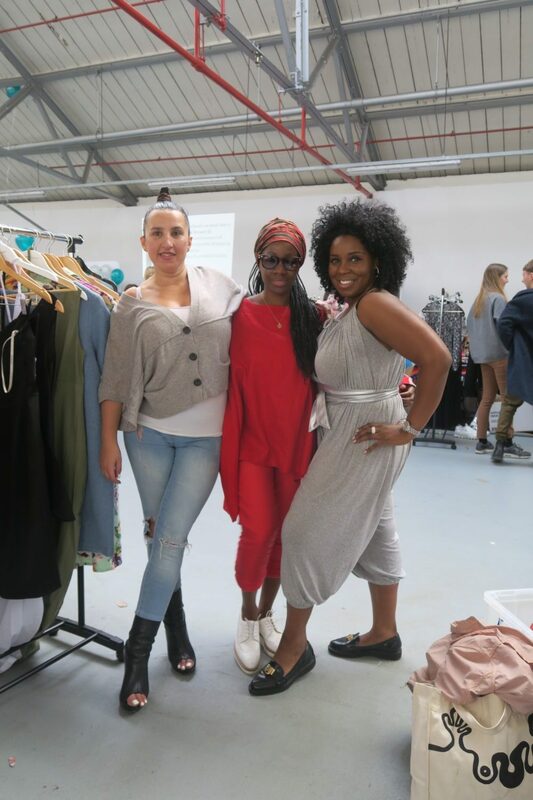 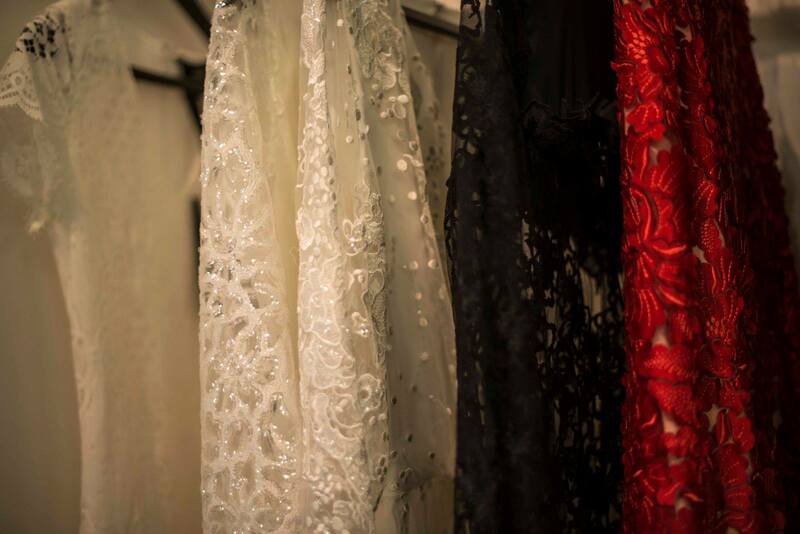 Items from brands including Shaeha, We Are Thought, Gather And See, Umran, Deborah Lyons and more – for more information on these brands follow Red Carpet Green Dress.